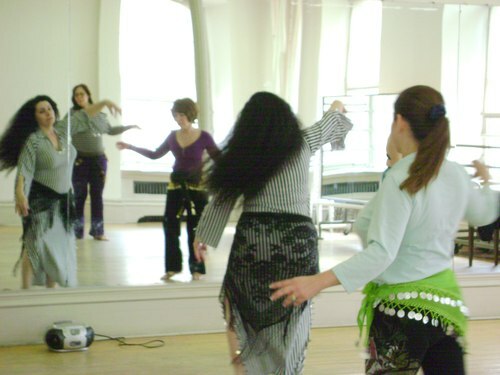 With popular music artists, such as Shakira and Britney Spears, incorporating hip and stomach moves into their dance routines, the ancient art of belly dance has lost the misconception of it being a hootchy-kootchy dance performed by women in revealing attire, performing the dance of the seven veils for their sultan. The once considered risqué belly dance has shimmied its way into dance studios and health clubs across the U.S., where women of all ages are coming in droves to learn the exotic dance form. 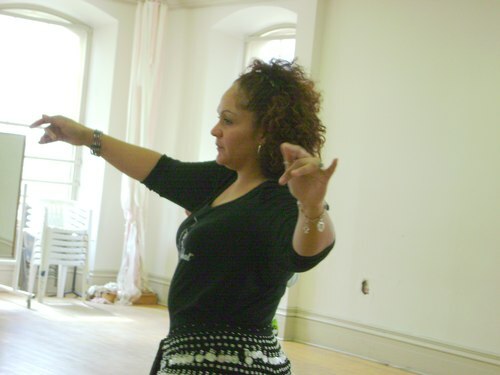 One place is the Staten Island Snug Harbor Cultural Center, where dance instructor Joanna Sabatowicz teaches a weekly belly dance class on Sundays to women of various ages, experience levels and sizes. With nearly 30 years experience under her bedleh, she exudes confidence and a no-nonsense attitude through her demeanor and movements. While some students have been studying with Joanna for years, others have only recently started taking her class. Experienced or not, Joanna takes the time to work with each woman as needed, making everyone feel relaxed and comfortable. "Belly dancing, like any other dance, takes time to learn. You have to have the desire to learn, and not be intimidated by the fact that you will not just get up on the floor and start dancing." She says. 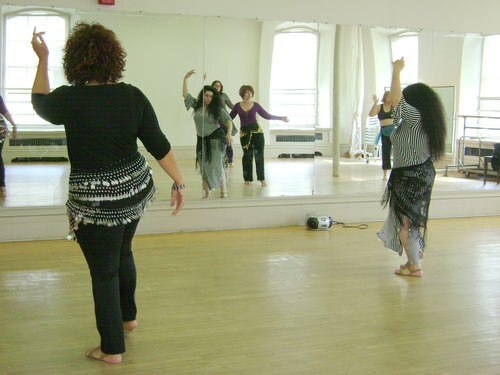 She also states that belly dancing "Gives many women more confidence in themselves, and a much needed appreciation of their bodies, no matter what size or shape. In a world where thin is so important, this is not so in belly dance. Anyone can do this dance, and look great." 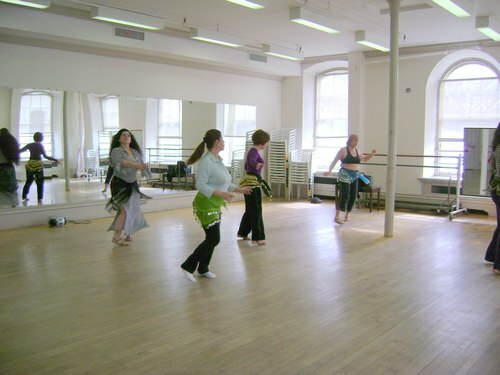 As the dance studio fills with Middle Eastern music, Joanna leads the class in a series of head and shoulder warm-ups, gradually easing her students into a number of intricate hip movements, first starting with an up and down hip motion, then a series of figure eight hip action. Wearing coin scarves that jingle with every hip thrust, the ladies practice their moves, as well as some shimmies and twirls until they have the basics down. Circling around the room, checking each student's progress with each new acquired action, Joanna gently corrects movements as needed, offering advice and encouragement and reminding each lady to go at their own pace. Once she's satisfied that everyone has the basics down, she leads the class in a dance routine combining the movements learned throughout the class repetitiously until each woman can perform the dance with little or no error.